Wallpaper has a longstanding and misunderstood reputation for being obnoxiously bold and a nightmare to apply and remove. 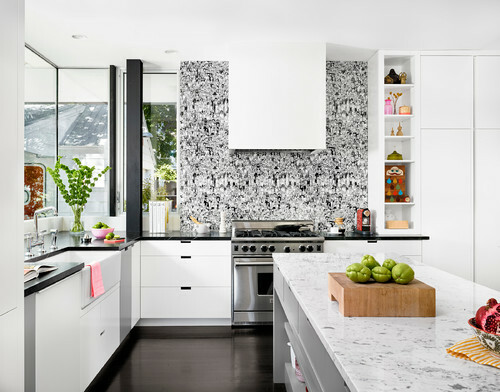 However, it has been entirely reinvented with new materials and appropriately renamed as “wall coverings.” You’ll see it popping up again in designs everywhere. Wall coverings serve as a beautiful accent piece in any room and can be as subtle or as fun as you desire. Here’s how to welcome a wonderful wall treatment into your home. Wall coverings come in wide range of patterns, styles and materials. In comparison, paint is uniform and very 2D while wallpaper opens the door to a new dimension to play with. A great first step to deciding if it’s right for you is to browse inspirational home photos and save the ones that appeal to you the most. 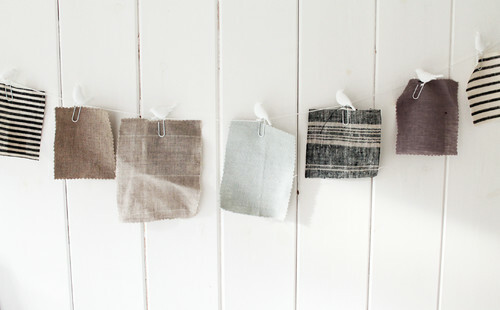 Just like paint and fabric, you can order swatches of wallpaper to test on your walls before you commit. Full rolls can cost anywhere between $50 for plain paper versions to $300 for custom made or 3D textured options. It’s highly recommended, even by the most experienced DIYers, to hire an experienced professional for the final installation. And unlike its predecessors, many wall coverings use a safe and easy-to-remove adhesive for painless removal. There are thousands of different designs in production for wallpaper, so chances are if you have a particular look in mind, you’ll find it. On the slight chance it doesn’t exist already, you can commission a custom-made pattern or make your own. Traditional paper coverings are still made today, but vinyl wall coverings are also available and are great candidates for high-traffic areas since they’re glossier and can easily be wiped down. The Williams Morris designs are popular for historic or arts and crafts style homes and floral patterns are a timeless classic. 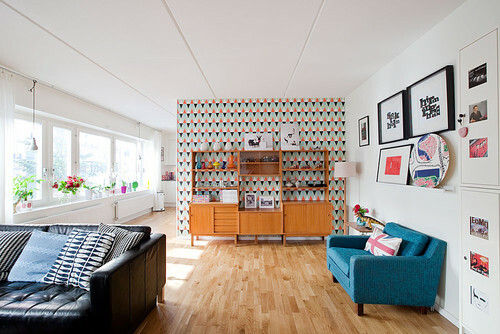 Alternatively, mural-style wallpapers are a great choice for modern art connoisseurs. They can be made to resemble an oversized print or photograph, a landscape or a cityscape of your hometown. Wall paneled paper pays homage to industrial style and can be made to resemble a brick, wood or concrete wall. 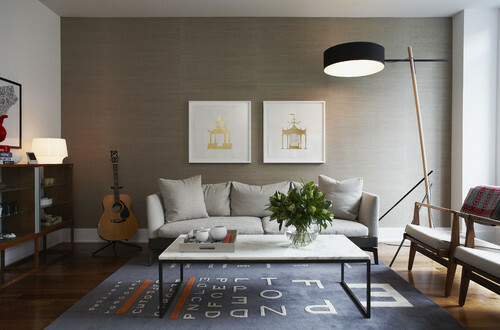 If you want something more in-the-moment, graphic, geometric and ombre designs are very contemporary. Textured grasscloth and silk wall coverings have a unique look and bring warmth and a sense of luxury to any space. These coverings are often one uniform color for people wanting a subtler look. Consider the tone and vibe you’re going for and how it looks from different angles, rooms and light when you’re shopping for the perfect fit. 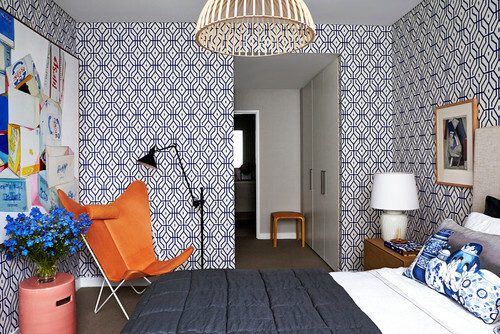 Wallpaper works great in just about every room of the house, but materials should be thoughtfully chosen. For example, vinyl coverings are a great choice for kitchens and bathroom since they are moisture-resistant and can easily be wiped clean of dirt or food stains. If you want to test treatments in a small area, consider a low-traffic area such as a powder room or laundry room. 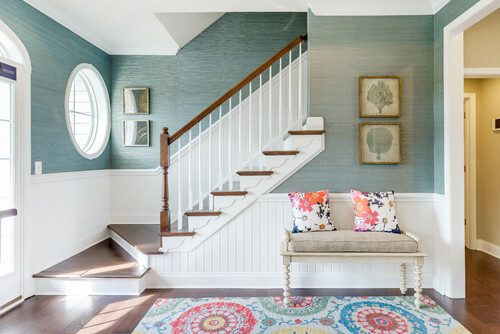 If you don’t want to line an entire wall from floor-to-ceiling, you can install wallpaper above wainscoting for a half-wall look. Just like paint, wall coverings also make eye-catching accent walls. Other fun places to try it out include the entry, along the stairwell, on the ceiling or in a nook. Wallpaper disguises wall blemishes, sets spaces apart in an open floor plan and, with the right pattern, enlarges small spaces. Wallpaper can also be applied to items other than walls, such as lining the back of a bookcase or shelving unit, a large cabinet, dresser or armoire for a stunning look.